This sweet white dessert wine will surely get the party started. Great bachelorette toasting! Pour this in your glass smell a bushel basket of yesteryear. A grape big in flavor and bouquet; the grape that wine-makers love and grape-growers hate! Sweet white blend of three varieties with light apple and pear flavors. Semi-sweet aromas and flavors of pineapple with hints of citrus. This particular wine is very light and crisp. A semi-dry blend of Chardonel and Vignole , lightly oaked with hints of vanilla. Dry with flavors of pear, grapefruit, and granny smith apples. This wine is lightly oaked. A sweet and refreshing crisp blush. Great as a spritzer. A sweet nice balance of cranberry and apple. Dessert wine with hints of cherry and raspberry. Great cigar wine! Our sweetest blended grape wine with lots of fruity flavor. Sweet Blend of blueberry and blackberry. Light bodied red with crisp clean finish. Semi-dry red back by request! A young Rose', semi dry, light in tannin, made with Chambourcin grapes, and a great summer deck wine. Awarded Illinois Bicentennial Rose'. Awarded a silver medal at the California Rose' Symposium. Our Fullest bodied dry red with good tannin structure. Pairs well with a good steak. A full-bodied oaky dry with flavors of cherry and raspberry. This particular wine ages very well. Ecclesiastically approved by the Catholic diocese of Springfield Illinois. 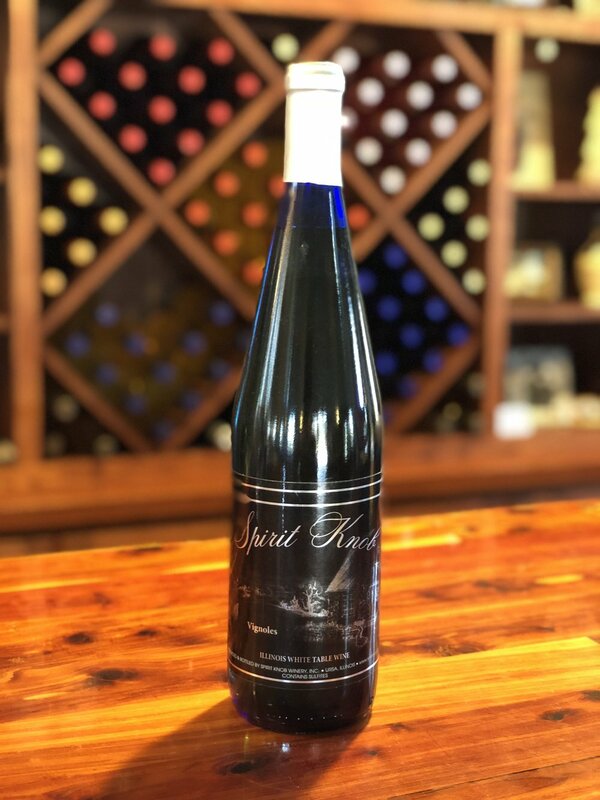 Contact Spirit Knob Winery directly for more information.